While everyone can appreciate a warmer day, when vehicles interiors are scorching hot and there is no relief available from the air conditioner, this presents a serious problem. 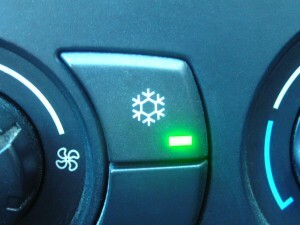 While there is no question that driver’s will be hurrying over to a repair shop for auto air conditioning service in Mill Creek, had they been aware of the warning signs of a failing system, they may have avoided this scenario altogether. Don’t wait until summer is here to have your air conditioning serviced in your vehicle, completing maintenance now can prevent future issues that would otherwise arise in the warmer months. One of the primary signs that there is a problem with a vehicles air conditioning system is if the air is no longer as cool as it used to be. Even in the middle of the summer, the Freon in the system will cool the air coming into the vehicle. If this air feels warmer, then going in for service right away is essential. It may be a simple issue, such as low Freon, which can happen to any vehicle over a period of time. Another issue that may be present is if strange sounds are coming from the air conditioner when using it. Most vehicle air conditioners will perform without much noise, so when excessive sounds are noticed, it is a definite sign that there is some type of serious issue present. When it comes to seeking auto air conditioning service, being aware of the warning signs is essential to ward off a bigger and more expensive issue which would occur at a later time. When you find you are in need of auto air conditioning service in Mill Creek, contact Conway Motors at (425)905-2424. Our professional and experienced technicians have the tools and know-how to fix any issue in a timely and affordable manner. This will ensure you are kept cool and comfortable all summer long.